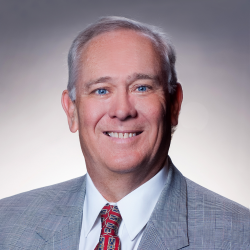 Timothy W. Hardy is a native of Shreveport, Louisiana and a practicing attorney and a partner in the Roedel, Parsons, Koch, Blache, Balhoff & McCollister Law Firm. He heads the firm’s Environmental Law Practice Group and regularly represents clients in regulatory, litigation and transactional matters. From 1982 to 1988, he served as an Assistant Attorney General in the Louisiana Department of Justice in the Environmental Enforcement Section. In 1988, he was appointed by former Governor Buddy Roemer to serve as Assistant Secretary for the Louisiana Department of Environmental Quality. From 1990 to 1992, he served as the top advisor to Governor Roemer on all environmental matters. From 1992 to 1994, he served as Director of Public Protection Division within the Louisiana Department of Justice. In January 1994, he joined the New Orleans based Lemle & Kelleher, L.L.P. Law Firm. In March 2003, he joined one of two Fortune 500 Companies based in the State of Louisiana, The Shaw Group, where he served as Executive Vice President. 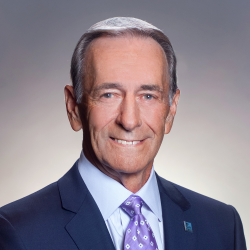 In June 2004, he rejoined Lemle & Kelleher as a partner and served as the Chairman of the Firm from 2007 until his departure in July 2011 when he joined Roedel, Parsons, Koch, Blache, Balhoff & McCollister. Prior to attending law school, he held several technical positions in industry. In 2007, he served as Vice Chairman of Governor Bobby Jindal’s Environmental Transition Advisory Council. He also currently serves as a commissioner for the Port of Greater Baton Rouge and as an adjunct professor teaching Environmental Law at the Southern University Law Center. He holds a B.S. Degree in Chemistry and a Juris Doctor Degree from the Southern University School of Law. He is married to the former Stacia Saizon and has two daughters, Nicole, a 2010 Biology graduate of Hampton University in Hampton, Virginia and currently attending Meharry Medical School in Nashville, TN, and Amanda, a 2010 graduate of the LSU Laboratory School and currently a sophomore and pre-med major at Tulane University. Mr. Hardy was appointed April 27, 2010 and his service end date is July 1, 2017. He has been appointed to serve as an at-large member, as required by statute. 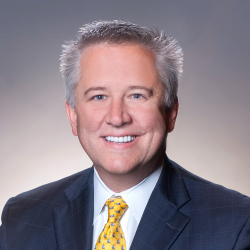 Stephen Toups is Executive Vice President of Turner Industries Group, a national industrial contractor, and has been with the company for 20 years serving in many capacities. 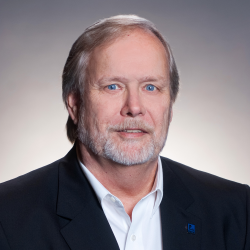 Toups currently serves on the board of SingleStop USA, the Rice Global Engineering & Construction Forum, and as a trustee for the National Center for Construction Education Research. 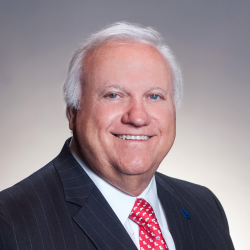 Past service includes the national board of directors for the Associated Builders and Contractors, chairman for the Louisiana Construction Education Foundation, as chairman for the LCTCS Foundation Board of Directors, and as chairman of the Baton Rouge Area Workforce Investment Board. Toups is a graduate of Louisiana State University where he earned his Bachelor of Science in Finance and his Master’s in Business Administration. He currently serves on the Information Systems and Decision Sciences Advisory Council for the LSU Business School. Mr. Toups was appointed on January 11, 2008 and his service end date is July 1, 2019. Helen Bridges Carter, a lifelong resident of Greensburg, Louisiana, retired from public education after devoting thirty years of service. She was an educator and an administrator at the high school and technical college level. She has served on the advisory boards of the Louisiana Technical College, Florida Parishes campus and the Greater Capital Area, Region 2. Carter served as a managing partner of Carter Bridges, LLC. She also has memberships with the Louisiana Retired Teachers Organization and the Louisiana Forestry Association. Carter resides in Greensburg with her husband of 53 years, Chief Judge Burrell J. Carter of the First Circuit Court of Appeal. She and her husband have two children, Robert J. “Robby” Carter, married to Kerry Carter, and Elizabeth Carter Peak, married to Craig Peak. They have five grandchildren, Jessica Ledet, Taylor Peak, Kramer Peak, Helen Ruth Carter and Robert B. Carter. 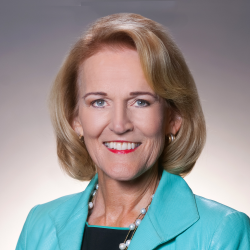 Mrs. Carter was initially appointed to the Board on July 13, 2006 through September 15, 2015. She was reappointed to the Board on March 24, 2016, and serves as an at-large member, as required by statute. Norwood “Woody” Ogé, of Gretna, is the retired director of business affairs for Ingalls Shipbuilding-Avondale Operations. During his tenure, he was responsible for all functions at the shipyard in support of ship construction and all community, local, state and federal business relations. Ogé served as chairman of Governor Jindal’s workforce transition committee and currently sits on the Department of Education’s Tier 1 Committee on High School Redesign and their business and industry roundtable as well as the board of directors of the Delgado Community College Foundation, West Jefferson Hospital Foundation, ASI Federal Credit Union and the Jefferson Community Foundation . He also serves in an advisory capacity to two national committees with OVAE and NNSP concentrating on Adult Education. Mr. Oge received the LCTCS Presidents Award in 2013 and the Alliance for Good Government Award in 2011. Ogé has a Louisiana contractors license in both legal and program management. He will serve as a representative of the 1st Congressional district, as required by statute. Mr Ogé was appointed on July 10, 2008 and his service end date is July 1, 2021. Erika McConduit, Esq. currently serves as the President and CEO of the Urban League of Greater New Orleans. In her role, she oversees agency operations, strategic planning, partnership development, contract management, and policy initiatives of the agency, whose mission is to Empower Communities and Change Lives. 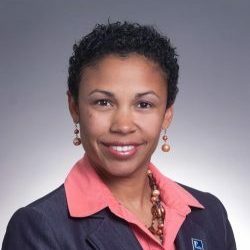 Dedicated to ensuring economic equity, Ms. McConduit works deeply in workforce and economic development, and has served as a member of Louisiana Governor John Bel Edwards’ economic development transition team. Ms. McConduit is also heavily engaged in the city and state’s education reform, advocating for quality early learning, K-12, and post-secondary opportunities. In this capacity, she has served on numerous committees including Mayor Landrieu’s Education Task Force, Louisiana State Superintendent of Education John White’s Student Task Force as co-chair, and the Recovery School District’s Charter Application Task Force. Additionally, Ms. McConduit served as Co-Chair of the National Urban League’s Education Task Force. Committed to education, Ms. McConduit has served as an adjunct faculty member of Dillard University where she taught courses in Public Health Law and Media Law. She has also taught at Monroe College in New York, instructing courses such as Criminal Law, Introduction to the American Legal System and Current Issues in Criminal Justice. Prior to joining the Urban League, Ms. McConduit was the Chief Operating Officer of the YWCA of White Plains and Central Westchester, New York. In that role, she oversaw the general operation and programs of the agency in addition to helping develop the social justice agenda for the county. Due to her unyielding commitment to racial equity, she was selected as the delegate for the northeast region of YWCAs at the World Council meeting in Kenya, Africa and has served as a National Urban League delegate on a friendship mission to China. An avid supporter of professional and leadership development, Ms. McConduit is a graduate of several programs, including the National Urban League’s Emerging Leader Institute, New Orleans Regional Leadership Institute, Bryan Bell Metropolitan Leadership Forum, and the Norman C. Francis Leadership Institute. She is currently a Pahara-Aspen Institute fellow. Ms. McConduit was appointed on April 4, 2016 through July 1, 2021. She was nominated by BESE to represent the 1st Congressional District, as required by statute. A Lake Charles native, Willie Landry Mount is proud to call Southwest Louisiana home. She is a graduate of Lake Charles High School and McNeese State University, where she earned a Bachelor of Science in Business Administration. Willie worked as a licensed real estate agent for seven years before she started a successful small business, which she owned and operated for four years in Lake Charles. In 1993, Willie was elected the first female Mayor of Lake Charles. After serving over six years as Mayor, Willie became the first woman elected as a Louisiana State Senator from District 27 in 1999. She served three terms in the Senate, where she held a variety of leadership roles, including chairman of the Health and Welfare Committee, Chairman of Revenue and Fiscal Affairs Committee and Vice-Chair of the Education Committee. 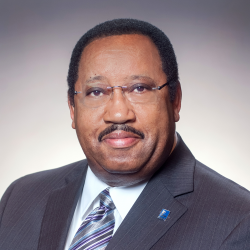 Willie has received distinguished awards from numerous community organizations, including McNeese State University, the National Association of Social Workers, the Kiwanis Club and the NAACP. She is – and has always been – active in a variety of civic and community betterment projects. 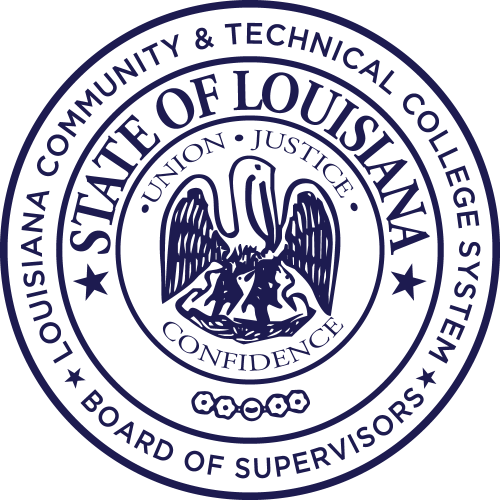 Murphy is the former dean of the Sullivan Campus of Louisiana Technical College. 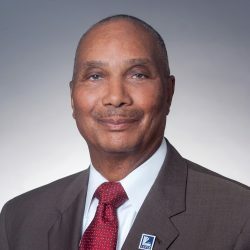 During his professional career, spanning 40 plus years, he served as a secondary school teacher, technical college instructor, university assistant director for job placement, technical college campus director and dean. He is licensed to practice mental health counseling in Louisiana. Active in school accreditation, he has routinely served as a team member and chair to several states for the Commission on Occupational Education for the Southern Association of Colleges and Schools and its successor the Commission of the Council on Occupational Education. Murphy has served in leadership capacities in numerous civic and community based organizations. He is a past president of the Bogalusa Chamber of Commerce and also served as secretary for the Washington Parish Home Rule Charter Commission. He is a longtime watermelon producer and tree farmer. He is the Managing Parnter for GingGong Land Holdings, LLC. Murphy remains active in advancing economic and workforce development initiatives on the Northshore. Mr. Murphy was re-appointed on December 20, 2007 and his service end date is July 1, 2017. Paul Price, Jr. was a Drafting and Design Technology instructor at the Winnsboro Campus of Northeast Louisiana Technical College before retiring in 1999. Price is an active member of the community where he was born and raised. He has served on the Franklin Parish Catfish Festival Board of Directors since 2001, and has served as the director of the festival since 2007. 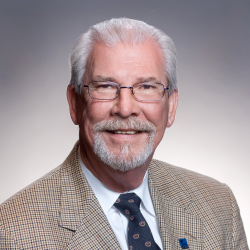 He’s also been a member of the Franklin Medical Center Board of Commissioners, serving as board chairman since 2009. Price served two terms as President of the Winnsboro-Franklin Chamber of Commerce, and served as the board chair of the Princess Theatre for three years. He currently serves on the Winnsboro Main Street board, and is the co-chair of the annual Chamber of Commerce Christmas parade committee. In addition to other business interests, Price performs freelance advertising work and, with his wife Lindy – also a retiree from the Winnsboro LTC campus – owns the Jackson Street Guest House B&B in Winnsboro. They are both involved with the Old Post Office Museum in downtown Winnsboro, which opened in 2010. As required by statute, Price will serve as an at-large representative of the 5th Congressional District. Mr. Price was originally appointed on July 10, 2009 and reappointed in 2015; his service end date is July 1, 2021. Mr. Potts represents the 1st Congressional District, and his term of service expires on July 1, 2019. He is the Executive Vice-President of the Louisiana Federation of Teachers and the former President of the Jefferson Federation of Teachers. He was nominated by the AFL-CIO. Mark D. Spears, Jr. never stops thinking, working, or giving. His thoughts and actions most often focus on families and children, our community as a whole and our shared future. Mark is a native of both Marrero and Harvey and was raised in a single parent household by his mother, Dimple Spears, a public school teacher for over 30 years in the Jefferson Parish Public School System. She provided him with moral and spiritual direction, emphasizing the importance of education and service to the community. Mark is married to Rachel Spears, MD, FACOG, and they have three wonderful children, Mark III, Natalie and Melanie. Mark is a devoted member of St. Mary Missionary Baptist Church in Marrero, LA. Through his fellowship he is grateful for the warmth and support of his church community and the teachings that inspire him to serve the underprivileged. Mark is a product of Jefferson Parish Public schools, graduating from John Ehret High School. He attended Southern University in Baton Rouge where he received his Bachelor of Arts in Political Science with Honors and served as Class President. After receiving his degree, he began teaching in the Jefferson Parish Public School System as a Special Education Teacher at Boudreaux Elementary where he also mentored kids. In 2003, Mark went to Southern University Law Center where he received his Juris Doctorate in May of 2005 and was on the Dean’s List. 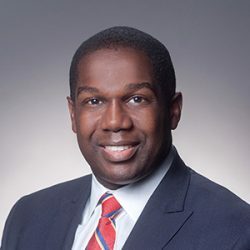 He is also a member of the oldest African-American fraternity Alpha Phi Alpha Fraternity, Inc.
After law school, Mark worked as an Assistant District Attorney in Orleans Parish until February of 2007. He then worked as an Assistant Parish Attorney in Jefferson Parish, until 2011. In November, 2011, he was elected as Councilman of District 3 with 70% of the vote. The overwhelming defeat of his opponent was a product of his political savvy campaign, determination and most of all hard work. Mark is currently serving his unopposed second term as Jefferson Parish Councilman, District 3 and continues to engage members of our community through volunteer service at the local schools such as Helen Cox High School, John Ehret High School, Higgins High School, and West Bank community centers. He also serves on numerous community boards and task forces addressing critical issues that affect our daily lives. Mark constantly commits personal and professional time and energy to being a public servant for the constituents in his district. As Councilman of District 3, Mark meets with neighborhood associations to understand the needs of their community. He continuously provides recreation services and centers for youth and seniors; including sponsoring summer camps at Johnny Jacobs, Woodmere Playground, Waggaman and many more. As times change it has become evident that a traditional education is not equal for all students. Mark provides additional funding for after school educational programs and activities for the youth in all areas. Mark has coordinated with clergy, local businesses, community and civic leaders to address the increasing crime, drug and violence epidemics in District 3. Mark works tirelessly to improve the quality of life in Jefferson Parish. Mr. Mark D. Spears, Jr.
Craig C. Spohn has thirty five years of business experience in the Information Technology field, working in international, commercial and federal government markets. Currently, Craig is the Executive Director of the Cyber Innovation Center which is a public/private initiative whose mission is to support research, education and technology advancement for the cyber domain and to foster collaborative and strategic alliances between governmental agencies, private industry and academic institutions. Before serving as the Executive Director of the CIC, Craig was the Director of an Information Technology Consulting Group. Prior to returning to Shreveport‐Bossier, Craig was with Science Applications International Corporation, a large defense contractor. At SAIC, Craig served as Vice President for Middle East Business and coordinated SAIC’s Saudi Arabian business activities as General Manager of the Saudi Joint Venture. Mr. Smith is a partner in All South Consulting Engineers, LLC, a general civil engineering firm. 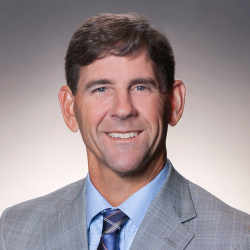 Mr. Smith has been in the consulting engineering business for over 20 years, and has provided leadership in this field for many public and private clients across Louisiana, and the Gulf Coast. He resides in Schriever, Louisiana, and has been involved in his community his entire life. He has been a member of the board for a variety of organizations, including the Houma Terrebonne Chamber of Commerce, the South Central Industrial Association, and several others. He has also been involved in both Leadership Terrebonne and Leadership Louisiana for many years. He has served on the LCTCS board since 2003. 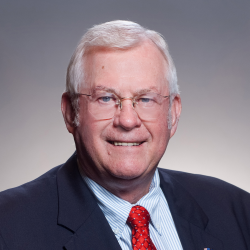 He has also served on the LCTCS Facilities Corporation Board since 2007 and is also a member of the LCTCS Foundation Board, as well as the Fletcher Technical Community College Foundation Board. Mr. Smith has been married to Nancy Smith for over 20 years, and they have 3 children. Vincent St. Blanc III, a resident of Franklin currently is a manager for Steward Building Materials. He previously served as Mayor of the City of Franklin (2004) and as owner and president of St. Mary Hardware & Gifts. He brings an extensive knowledge of technical education to the Board, having been previously employed as a vocational adult education teacher, vocational agriculture teacher, and Future Farmers of America advisor. St. Blanc presently is a member of numerous organizations, including the St. Mary Parish Chamber of Commerce, and chairman of the West St. Mary Industrial Park. St. Blanc is a graduate of the University of Southwestern Louisiana, where he obtained his Bachelor of Science degree in vocational agriculture education. He also holds a certificate for teaching from the State of Louisiana, and is a graduate of Hanson Memorial High School in Franklin. St. Blanc has served on the board since 2005. Mr. St. Blanc was appointed on November 4, 2005 and his service end date is July 1, 2017. 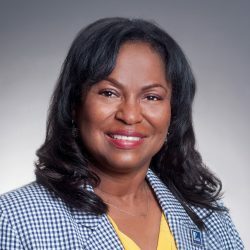 Tari T. Bradford, a native of Shreveport, serves in the capacity as Executive Assistant/Governmental Affairs for Mayor Ollie S. Tyler in the great City of Shreveport. She is a graduate of the Southern University and A & M College located on the Bluff of the Mississippi River in Baton Rouge, where she earned both her Master of Education in Mass Communications and a Bachelor of Science in Marketing/Business Management. Tari is a proud product of Caddo Parish Schools, where she graduated from Huntington High School. Before her position in the Mayor’s office, Tari worked for former U. S. Senator Mary Landrieu as Deputy State Director and retired U.S. Senator J. Bennett Johnston as Senior Outreach Staff. She has nearly 24 years as a congressional staffer. Tari is active in many organizations in the community and region. She served as the 22nd South Central Regional Director of Alpha Kappa Alpha Sorority, Inc., where she directed and led more than 4,000 ladies. The region consists of the following states, Arkansas, Louisiana, New Mexico and Texas. She served in this leadership role for two terms which is a total of four years. Prior to being elected to lead this distinguished group of ladies, she served her local chapter, Delta Lambda Omega Chapter of Alpha Kappa Sorority, Inc., as president, vice president and many other offices and chaired several committees. 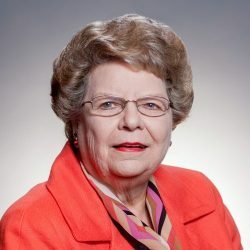 Currently she serves on several boards and committees in the Shreveport area which includes the following: The State Fair Board – 1st Vice President; Krewe of Sobek – Captain; and a founding member of Dress for Success (Board Emeritus). She is an avid volunteer for the Northwest Sickle Cell Disease Association. Tari is a faithful member of Faith Lutheran Church where she served as chairman of the Educational Committee. She is the daughter of Dr. and Mrs. Hugh B. Bradford. She and has one brother, Dr. Darien Bradford, Sr.; two nieces and two nephews. She loves to read and share her love for reading as a volunteer in area schools. She also shares civic lessons in the classrooms of Caddo Parish Schools. Alterman “Chip” Jackson is a native of New York City. He graduated with a Bachelor’s degree in Political Science from Lincoln University in Pennsylvania (PA) (the nation’s oldest Historically Black College) and holds a Master’s Degree in Counseling from Millersville University, in PA.
Mr. Jackson has spent his entire professional career only working in higher education institutions. He started his career working for over 5 years in the TRIO Program at Millersville University. He then spent 15 years working as Director of Admissions and Assistant Dean of the Graduate School at Hahnemann University of School of Medicine (currently Drexel University College of Medicine) in Philadelphia, PA. He then worked 15 years at Harrisburg Area Community College in Harrisburg, PA as Director of Admissions and Marketing, Executive Director of Enrollment Services, and Vice President of Student Affairs and Enrollment Management. After relocating to Lafayette, Louisiana, he spent a brief time as Director of Admissions at Unitech Training Academy before moving on to Executive Director of Enrollment Services at Baton Rouge Area Community College. He then spent the remaining 7 years of his career at the University of Louisiana at Lafayette working as Director of Enrollment Services and retired as the University Registrar in 2015. Chip has received several awards and recognitions and has been active in the community by serving on numerous members including YMCA Board of Directors in Harrisburg, PA, Highmark Inc. (formerly Blue Shield of PA) Corporate Board, The Daily Advertiser’s Editorial Board, Evangeline Area Council-Boy Scouts of America, and Boys and Girls Club of Acadiana. He was also a member and chair of the Education Committee of the 100 Black Men of Greater Lafayette. He is currently a board member for Council for A Better Louisiana (CABL). He is a member of Good Hope Baptist Church where he served as Deacon and currently chairs the Scholarship Committee. He is also a member of Omega Psi Phi Fraternity and Prince Hall Free and Accepted Masons. Chip is married to Dr. Jennifer Hightower Jackson who is Founder and CEO of Keystone Nutrition, a nutrition consulting business she started in 2014. His daughter Saige is a graduate of Indiana University of Pennsylvania with a degree in Communication and lives in Baltimore. His son Marques is a graduate of Temple University with a degree in Biology and is currently a doctoral student in Biology at the University of Louisiana at Lafayette. Chip’s hobbies include playing tennis and reading. Mr. Jackson was appointed by Governor John Bel Edwards on July 2, 2017 and his service end date is July 2, 2023. He has been appointed to serve as an at-large member, as required by statute. Jeremy Gray is a native of Bossier City, LA, born and raised on Barksdale Air Force Base. He is currently enrolled in the welding program at Central Louisiana Technical Community College Sabine Valley Campus in Many, Louisiana. He has two children and is married to Krystal Gray of Many, LA. Mr. Gray has served in the United States Navy as the occupational rating of Boatswain’s mate on the U.S.S. Iwo Jima HD-7. He served in the Color Guard during service as well and is now a wartime veteran. Mr. Gray is the SGA President of the Sabine Valley Campus and serves as the Executive President over all CLTCC campuses for 2018-2019 term. Jeremy serves on the Student Advisory Member Board to the Board of Regents and as an executive on the Council of Student Body Presidents. Mr. Gray has aspirations to become a master welder, general production manager, and certified welding inspector. He also plans to further his education by enrolling in the business program after he completes the welding program at CLTCC and has been invited to join Phi Theta Kappa Honor Society for his academic excellence. Mr. Gray is committed to assisting and making a positive change in higher education for Louisiana. Mrs. Raissa Yantis is the Executive President of the Student Government Association for Northshore Technical Community College, where Raissa represents all students of the eight Northshore campuses. Portuguese is Raissa’s first language and English is her second. She lived in Minas Gerais, Brazil for over 13 years, where she earned her High School Diploma. Raissa fell in love with Louisiana when she moved to Ponchatoula in 2014; she started college during the spring semester of 2017. In 2018, Raissa joined Phi Theta Kappa Honor Society, and is currently working on her General Studies Associate Degree. After obtaining this degree, she plans to go to Southeastern University and join their Computer Science Pre-MBA Bachelor’s degree program.